Data loss can strike at any time, whether it’s a file you’ve accidentally deleted or a drive error that’s wiped everything out. We will highlight the best free data recovery tools for Windows to help get your precious files back. Along the way we’ll show you how to check if your data is actually deleted, whether using a data recovery program is suitable for you, along with explaining how they actually achieve what they promise — and no, it isn’t magic. If you’ve got a free data recovery tool that you recommend then please let us know in the comments section. This might sound like an obvious step to some of you, but before attempting recovery you need to make sure that your data has actually been deleted from your drive. The first place to check is the Recycle Bin Make a Better Recycle Bin With These Great Tools & Tricks Make a Better Recycle Bin With These Great Tools & Tricks Most of us are very familiar with the Recycle Bin. We use it regularly, and it seems like a feature we can’t do much to customize – deleted files go there, and we can permanently... Read More . By default, the Recycle Bin will be an icon on your desktop, which you can double-click to load. If it’s not there, press Windows Key + R to open Run, input explorer.exe shell:RecycleBinFolder and click OK. Perform a search for your file within the Recycle Bin using the search box. If that doesn’t help, maybe the data still exists somewhere else on your computer. Perhaps you accidentally moved it to another folder path, for example. Press Windows Key + X and select File Explorer. Since we want to search the system What Are the Fastest Tools for Windows Desktop Search? What Are the Fastest Tools for Windows Desktop Search? Search is one of the digital tools we take for granted and heavily rely on. Fortunately, Windows comes with a handy search feature. Could third-party tools be better and faster? We made the test. Read More , click This PC from the left-hand navigation. Now use the search box to begin looking for your file. Even if you can’t remember the file name, you can use advanced search tips to narrow down the results. If your file is definitely gone, it’s time to attempt data recovery. Read on to find out how and what programs we recommend. Can I Use a Data Recovery Program? If you’ve lost data from your drive, then you might be able to use a data recovery program to recover it. However, the operative word there is might, for there are various factors that depend on recovery success, like how much data has been written to the drive since the loss or if the drive is failing in some way. If you’ve deleted a file, reinstalled the operating system, or formatted the drive, data recovery software can be used. Similarly, if you’re suffering logical drive failures, like errors about your Master Boot Record, data loss following a power outage, or Blue Screen of Death, recovery software can help. However, if your drive has mechanically failed Hard Drives, SSDs, Flash Drives: How Long Will Your Storage Media Last? Hard Drives, SSDs, Flash Drives: How Long Will Your Storage Media Last? How long will hard drives, SSDs, flash drives continue to work, and how long will they store your data if you use them for archiving? Read More , then there’s nothing that any software can do to sort it out. You shouldn’t use recovery programs if your drive has suffered mechanical damage 5 Signs Your Hard Drive Is Failing (And What to Do) 5 Signs Your Hard Drive Is Failing (And What to Do) Since a majority of people today own laptops and external hard drives, which get dragged around quite a bit, a realistic hard drive lifetime is probably around 3 - 5 years. This is an extremely... Read More . That means anything which has physically harmed the drive. For example, something extreme like the drive being flooded or set on fire would fall under this banner. But it can also be less obvious. A hard disk drive is composed of moving parts, which means that sudden movement can have serious consequences. This is because it could cause the drive head to collide with the platter; simply put, this might scratch away your data. Similarly, if you can hear a constant clicking within the drive then this is known as the click of death. It suggests a failure with the drive heads and, as the name suggests, is a sign that your drive is about to stop working. 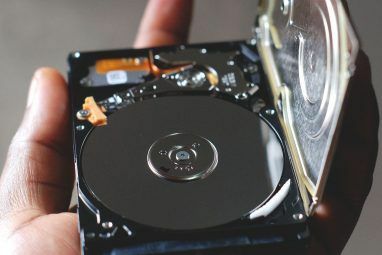 For more information on hard drive noises, check out our guide on what to do when your drive is making unusual sounds What Can I Do When My Hard Drive Makes Unusual Noises? What Can I Do When My Hard Drive Makes Unusual Noises? Has your hard drive been making strange noises recently? It might be indicative of an impending storage failure. Read More . If you suspect your drive has suffered mechanical damage – even if it isn’t causing data loss – then immediately stop using it. Recovery software can’t solve anything here. Instead, your best chance of repair is to hand your drive to a company that specializes in mechanical recovery. They’ll be able to use their specialized facilities, like certified clean rooms, to open your drive up and try to fix it. Deleting something from your Recycle Bin doesn’t permanently remove a file. In fact, you can reinstall Windows from fresh and still not wipe previous data. This is because the actual data isn’t removed, just information about where the data is stored. In layman’s terms, the data is hidden and the space it occupied on the drive is flagged as available for being written to. As such, recovery tools can scan the entire drive, including these hidden areas, and pull your data back out. For more detailed information on this, check our guide on why it’s impossible to recover from an overwritten drive Why It Is Impossible To Recover Data From An Overwritten Hard Drive [Technology Explained] Why It Is Impossible To Recover Data From An Overwritten Hard Drive [Technology Explained] Recovering deleted data from a hard drive is generally possible because typically the actual data is not deleted. Instead, information about where the data is stored is removed. In this article I will explain how... Read More . With this in mind, if you’ve suffered data loss then you need to minimize your use of the drive as much as possible. This is because any further activity could create new data which is overwriting what you’re trying to recover. Even something like browsing the Internet will be creating data through cache and cookies. Data recovery programs come by the dozen and it’s difficult to pinpoint one as being the best. You might find that one recovers more data than another, but mileage can vary. As such, this is a selection of our favorite free file recovery software 3 Remarkable File Recovery Tools 3 Remarkable File Recovery Tools Read More . Recuva is from the same folks behind the respected CCleaner. One of the best things about Recuva is how easy it is to use. On launch, a wizard will guide you through the recovery process, asking you to select what type of files you want to recover and in which location. By default, Recuva will perform a quick scan, which is incredibly fast. But you can perform a more advanced, deeper scan, if that first attempt doesn’t bring up the data that you need. If possible, Recuva will show you a preview of the file that it’ll recover. This works for most image files, but doesn’t work for something like a PDF. Nevertheless, you can also use the traffic light indicators next to each file to see how likely a successful recovery is going to be. Handily, Recuva also comes in a portable version, which you can run from a USB drive. This means no installation is required and no hard drive space is used. Remember, you want to minimize the activity on your damaged drive, so this is great, if you don’t have a second drive on your system. Previously a favorite with Mac users, Disk Drill is now available for Windows. Select the drive you want to recover from and the program will begin. You can look through the files as it performs the scan and you can even pause it, if you need to reclaim the system resources. You can filter the scan results by name (though as recovered data usually loses its original file name, this isn’t often useful), file type, size, and modification data. 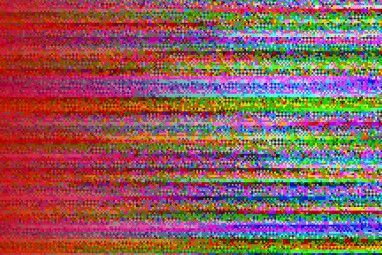 Though it can take a little while to complete the scan, recovering the data is surprisingly quick. Disk Drill also detects an impressive amount of lost data, though note this isn’t the same as how much it can recover. Nevertheless, it managed to recover data that I thought would be long gone. Like Recuva, there’s quick and deep scan options available, along with the ability to preview some files. Unlike Recuva and Disk Drill, PhotoRec doesn’t have a fancy user interface and is powered via command line. Despite that, it’s still pretty easy to use and it’ll guide you through each step. While it might not look the best, it puts its energy where it matters most: data recovery. And despite the name, PhotoRec recovers much more than just photos, supporting over 480 file extensions. PhotoRec doesn’t let you preview files, select which to recover, or offer different scan types. But it doesn’t really matter. You tell it which drive to scan, where to place the recovered data, and off it goes. It’s incredibly no frills, but its reliability and power means that it comes recommended. Depending on how much data is recovered, it’ll split your files across numbered folders in your selected location, which you can begin viewing as soon as the scan begins. If you want a program that is simple and powerful, PhotoRec is the one for you. Hopefully one of the data recovery tools listed has reconnected you with your data, even if it’s not all of it. 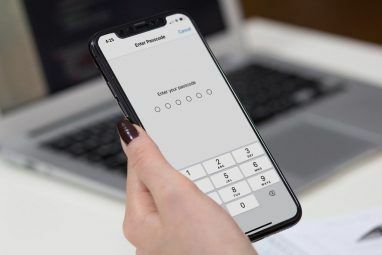 But if you’ve had to go through this process, chances are you weren’t backing up your data 5 Basic Backup Facts Every Windows User Should Know 5 Basic Backup Facts Every Windows User Should Know We never tire to remind you to make backups and keep your data safe. If you're wondering what, how often, and where you should back up your files, we have straight forward answers. Read More beforehand. Or if you were, then not thoroughly enough. 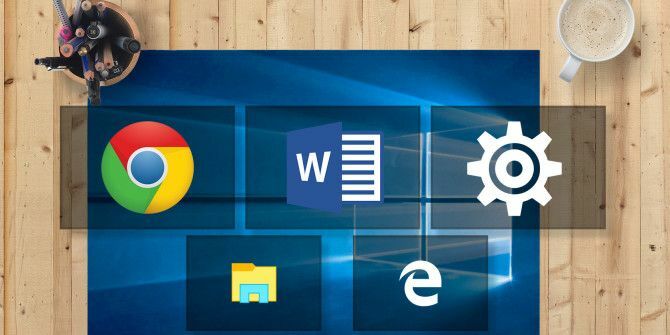 Backing up is something that is paramount and one Windows habit you should cultivate 10 Essential Windows Habits You Should Cultivate 10 Essential Windows Habits You Should Cultivate Bad habits can cause a lot of damage. And sometimes we're not even aware of them. We'll show you some good Windows habits that will save you a lot of time and stress. Read More . For the all the information you need on backing up, check out our ultimate backup and restore guide The Windows Backup and Restore Guide The Windows Backup and Restore Guide Disasters happen. Unless you're willing to lose your data, you need a good Windows backup routine. We'll show you how to prepare backups and restore them. Read More to find out what programs you can use and how often you should backup. What program do you recommend for data recovery? Do you have a story to share about data loss? Explore more about: Data Backup, Data Recovery, Restore Data. Several years later... and Recuva, Disk Drill... they just didn't work for me and a fubar external drive... however... PHOTREC is the absolute best set of tools I have ever, EVER come across. Seriously amazing. I paid for 2 data recovery programs after their trials showed that they could read my external drive... and the full versions after paying and updating... suddenly did not read the drive. What the? So I searched on MakeUseOf.com for recommendations, and cannot believe how great PHOTOREC is. Do yourself a favour people, put this program on your emergency thumb drive, it is the best. Lots of $ went to the author of PHOTOREC. Incredible! Active@ Boot Disk , I found stuff on hard drives that have been formatted twice, the software is freaking incredible. I have used Recuva a few times & have never recovered anything. So in my view it is not very useful, to put it mildly. GetDataBack is the best one I've used (I have a background of computer science, and worked in federal government in IT areas for some years). But it's not free. Also, you can prevent data loss! Just use a backup service, Carbonite is among the very bests!